Just when you thought England couldn’t produce another hip alternative band, London’s own ISLAND proves otherwise. It is that guitar-driven, endlessly melodic band you have been needing as you have waited for fellow British band Foals to release their next LP. “Feels Like Air” is the debut album from the group that drifts between the jumpy upbeat tunes at the beginning and the sweeping ballads that build and mellow over and over in the second half of the album. 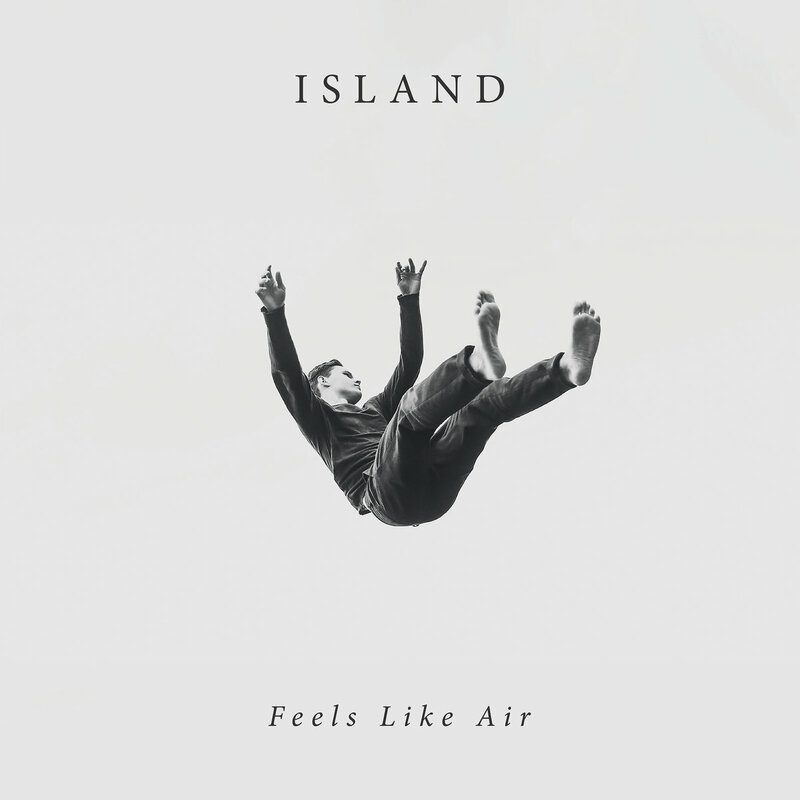 This album covers many emotional bases with exciting instrumentation as ISLAND proves to be one of the most exciting bands in the indie rock scene so far this year. The first noises that rise from “Feels Like Air” are a mysterious delay-filled guitar riff that wanders in, followed by the gravelly singing of lead vocalist Rollo Doherty that in some ways leans toward the voice of King Krule, sounding like someone with a sore throat leading the band. The first track, “Rise,” is a grooving and mellow track that lets the listener get comfortable with the slight bounce of their music. Track two, “Try,” follows with a slight build in emotion that works to hint wonderfully at the coming wave of sound later in the album. Possibly the most immediately powerful song on the album, coming right after “Try,” is “The Day I Die.” The theme of the song is dying, as the title implies, and while the lyrics can be a little cliche, essentially saying the song title repeatedly, the energy of the track keeps away any ideas of false sincerity. Furthermore, the instrumentation works spectacularly to drive this hard-hitting track, centering around a well-crafted guitar riff from lead guitarist Jack Raeder. This is the highlight of the album. While the first half of the album features these more thrilling, head nodding tracks, the last half of the album roughly balances out that energy with a more slow impassioned tracks. Some highlights from this part of the album include “Horizon,” “Moth,” “God Forgive” and the final stripped-down track “Lilyflower.” These songs certainly feel more reflective and give the listener possibly more space to breath after the energy of the beginning. “God Forgive” is a good example of a subdued track that steadily grows and allows for a picturesque ending that, when played live, likely has some lasers and smoke adding to the dreamy intensity. The signature guitar tone that is heavily used throughout the album is featured here too, and also characteristically crafts a rich and controlled riff that is repeated while the drums build at the end of the song. “Feels Like Air” is a strong debut from this four-piece band out of London that crafts many powerful emotional tracks and some that are simultaneously quite danceable. ISLAND is another band that I would suggest keeping an eye on as they develop because their sound gives some reason to expect that their future releases will be quite remarkable.